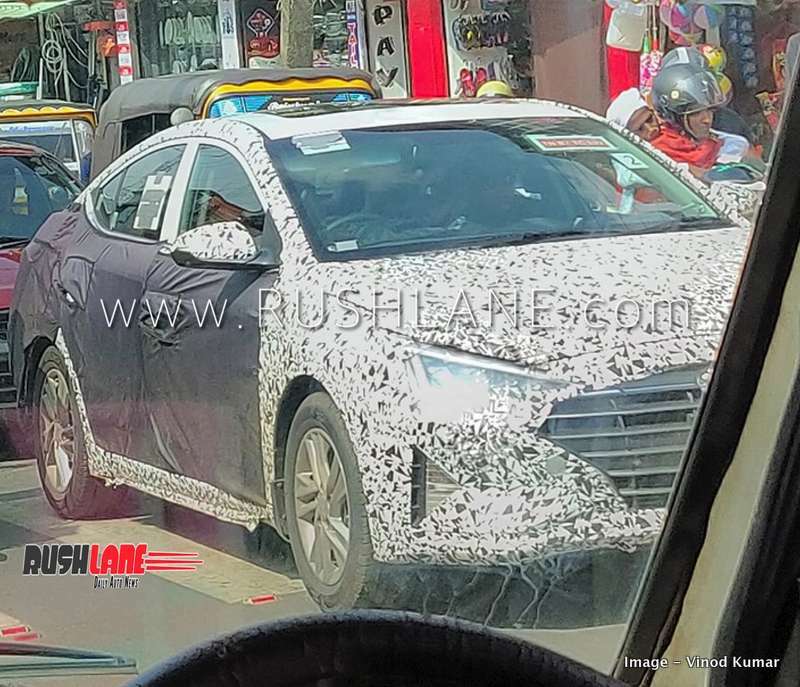 The Hyundai Elantra luxury sedan has been spied testing in India once again. Hat tip to automotive enthusiast Vinod Kumar for sharing these exclusive photos. 2019 Hyundai Elantra is planned for launch in India sometime in mid 2019. 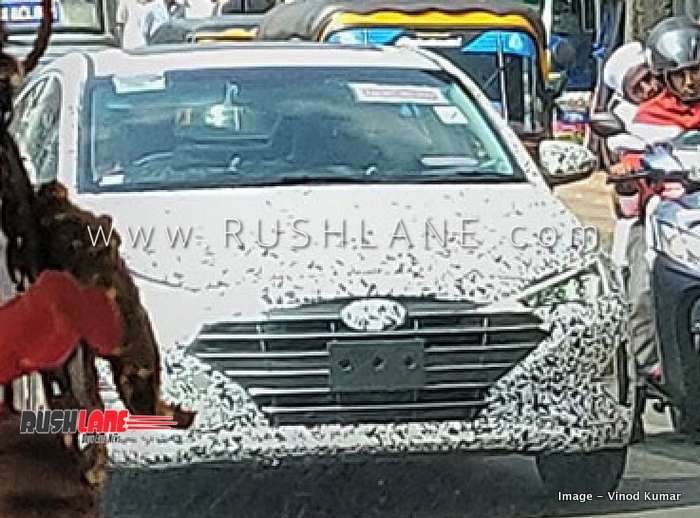 Ahead of launch, spyshots of the 2019 Hyundai Elantra luxury sedan have emerged while on test in Gudalur, Tamil Nadu. Spy images show off a new and aggressive stance of the new Hyundai Elantra with updates that include a sharply sloping roofline that extends to the boot giving the new sedan a coupe kind of stance. The car has already been launched in the US earlier this year. In the front there are triangular LED headlamps, a cascading grille and sculpted front bumper are a part of its new features in the front while at the rear, the boot lid is raised and new tail lamp designs are noted along with new LED signature lamps. The 2019 Hyundai Elantra sits on new 16” alloy wheels. Refreshed interiors are also expected on the 2019 Hyundai Elantra with a new steering wheel, AC controls and an 8.0” touchscreen infotainment system compatible with Apple CarPlay and Android Auto. However, this could only be on offer on top of the line Elantra while lower trims could get the same 7.0” unit from the other Hyundai models. The global spec 2019 Hyundai Elantra gets a host of new safety features among which are forward collision warning, automatic emergency braking, blind spot monitor, lane departure warning and active lane control. It also gets pedestrian detection system, rear view camera with cross traffic alert and a new safety feature called Safe Exit Assist that alerts passengers of any potential dander while exiting the vehicle. It is not sure how many of these safety features will be making their way onto the India spec Elantra. 2019 Hyundai Elantra is slated to be powered by the same engine lineup as is seen on its current counterpart. The 2.0 liter petrol engine offers 150 hp power and 191 Nm torque while the 1.6 liter diesel engine is capable of 126 hp power and 260 Nm torque. Both engines get mated to 6 speed manual and automatic gearbox. Pricing will remain similar to current Elantra too, which is priced in the range of Rs 13.7 to 20 lakhs. Hyundai Elantra will rival other executive sedans such as the Toyota Corolla, Skoda Octavia and the soon to be launched Honda Civic.